Our ocean planet is filled with dive sites, however, unlike on Gozo, a great many of them cannot be reached from shore. This course gives you the skills and knowledge required to safely dive from a boat to get to those less accessible dive spots. 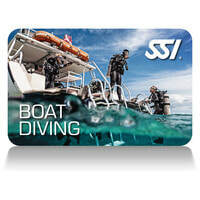 After completing the two boat dives, which are included in the price, and your e-learning, you will earn the SSI Boat Diving Specialty certification.